I am always telling my friends about the benefits of superfoods and why I have added them to my diet. In our discussions, we often end up talking about which is better – whole food superfoods or superfood powder. The answer depends on your personal preferences but it is important to find the one that works best for you! While some whole superfoods are available in grocery stores and supermarkets, some are not and you’ll have to trek to your local health food shop to buy them. Yes, you will get apricots, tofu and cottage cheese wherever you do your grocery shopping but spirulina, matcha tea, and maca root powder? Forget it! In contrast, you can buy superfood powder online from companies like Amazon.com, my article “Best Superfood Powder” and have it delivered right to your door. Easy! Superfood powder might seem like just another additional expense but you have to think about what it contains. Superfood powders are highly concentrated so you get a lot of nutrients for your money. In comparison, you’d have to buy dozens of whole superfoods to get the same number of nutrients which would probably come out much more expensive. Plus, unless you eat them right away, your whole superfoods will quickly over ripen and lose their healthful qualities so even if they were cheaper, that saving would be wasted. Superfood powders offer a broader range of benefits than including a few whole superfoods in your diet ever could. Why? One serving of superfood powder contains the nutrients of many different whole superfoods and those quantities are almost impossible to beat with real superfoods. You’d have to eat a lot of whole superfoods to even come close to the number of nutrients in one superfood serving. That doesn’t mean that whole superfoods are worthless – just that superfood powders are a more effective and efficient way to add more important nutrients to your diet. Learn more on my superfood powder guide. With very few exceptions, superfood powder products do not taste as good as whole superfoods. I’m sure you’ll agree with me – it’s nicer to eat fruit and vegetables than slurp a supplement that looks and tastes a little like pond water! Superfood powders do not taste THAT bad but, compared to real food, there is no comparison. 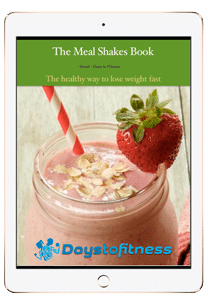 However, you can mask the taste of superfood powder by mixing it with juice, adding it to a smoothie or using it in one of my 7 recipes using superfood powder. Superfood powders are very easy to use and mix easily and quickly with water. You can carry them wherever you go which means you can take them anytime. While you can also eat whole superfoods anywhere you care to take them, some require preparation while others are just too messy for eating anywhere other than at home – pomegranate for example. 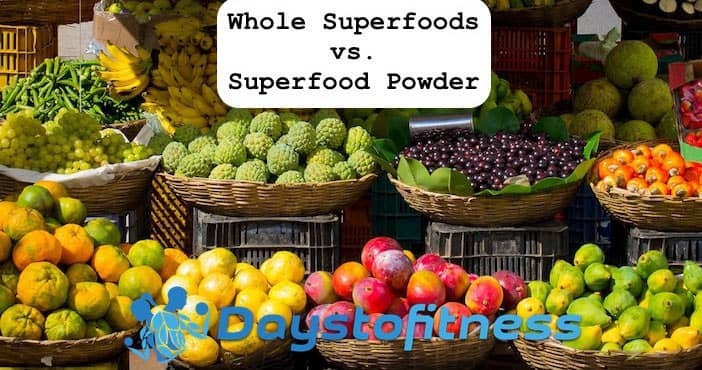 For a healthy habit like superfoods to stick, it has to be convenient and superfood powder is probably easier to use than eating lots of different whole superfoods. Looking at the scores, it looks like superfood powder is the hands down winner but, really, it’s a very close match. Whole superfoods and superfood powders both have a huge amount to offer and should be part of a healthy diet. It’s just that superfood powder is often an easier way to get good quantities of the nutrients that are found in whole superfoods. Don’t give up on whole superfoods – they are still very good for you. However, adding a superfood powder to your diet means you’ll never have to miss out on your daily dose of essential nutrients again. Next Article Why Superfoods in Powder ?